Burglar garage door tactic #1: Thieves are often breaking into cars not to steal the car, but to steal the garage door opener. 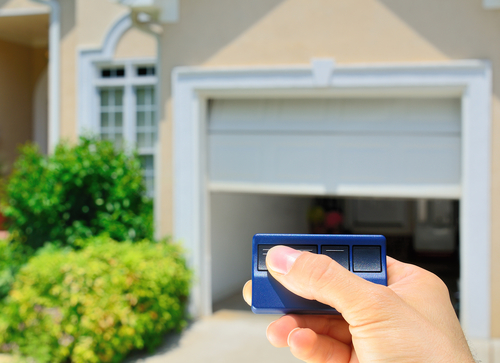 If thieves spot a garage door opener in your parked vehicle, they steal it, harvest your home address from the car registration or other identifying material in your glove compartment, and break into your garage while you are still out and about. And unless your garage is a free-standing unit, getting into the garage will offer easy access to your entire house. The solution is simple – keep garage door opener on your key chain so you can take it with you in your purse or pocket when you exit the car. Burglar garage door tactic #2: Most people feel pretty safe if they have their garage door closed, but in just a matter of seconds, experienced thieves can break in to your garage with a simple wire hanger by hooking the release valve. This short video shows how – it;s pretty scary — and the clip also offers a solution to deter this by using a cable tie. You should test breaking the cable tie from the inside to be sure that the door could still be used as an emergency exit. Here are two alternate products that can help to secure your garage from Garage Shield. Your garage is an entry point to your entire home – and as the article above notes, if burglars get in your garage and close the door, they have good cover for wreaking havoc. 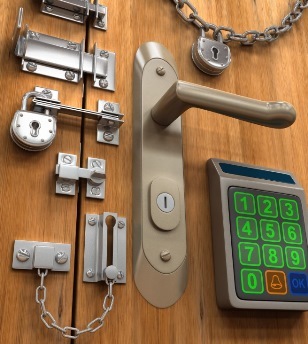 All too often, the door between the garage and the home is unlocked or insufficiently secure. Here are some ideas to increase your defenses: Top 10 Garage Door Security Tips to Prevent Break-Ins. 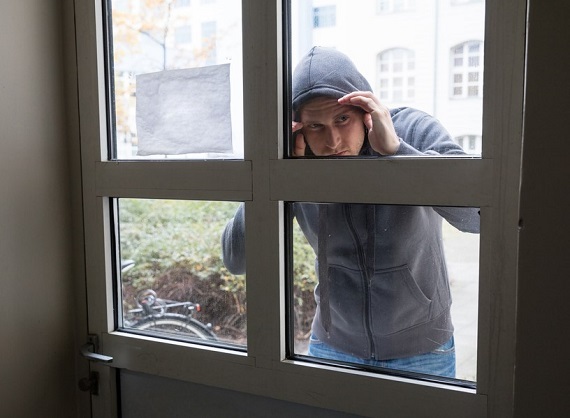 In response to a spate of home burglaries in Kansas City last year Mitch Weber, a reporter with NBC-affiliate 41 Action News, talked to police and sent questionnaires to prisoners who were serving time for burglary. He revealed burglar secrets as well as how homeowners can protect themselves from getting robbed. Here are a few surprises. Most burglars said dogs in the home were rarely a deterrent. Some burglars simply fed or befriended the dogs. If you do have a dog, they are better in the yard and barking than in the home, where many are friendly or timid. Security systems and signs for security systems rarely stopped burglars either – systems were often not turned on or easy to disable. Plus, some burglars noted that police response time is rarely under 15 minutes, and most burglars could be in and out in that time. What mistakes did people make? Most burglars said they started in the master bedroom and also cased living rooms and kitchen counters. See our prior post about creative ways people try to hide valuables. Some of these tips are no or low cost. It’s also important to have the right homeowners insurance to cover any potential losses. if you have any prized or valuable collections, make sure you tell your agent and talk over a rider to your homeowners policy to ensure they are covered should your security measures fail.